Chinese calligraphy sticker with the meaning of courage. Brilliant vehicle decal to decorate your bike or car. Did you know that Chinese calligraphy is considered a form of art? 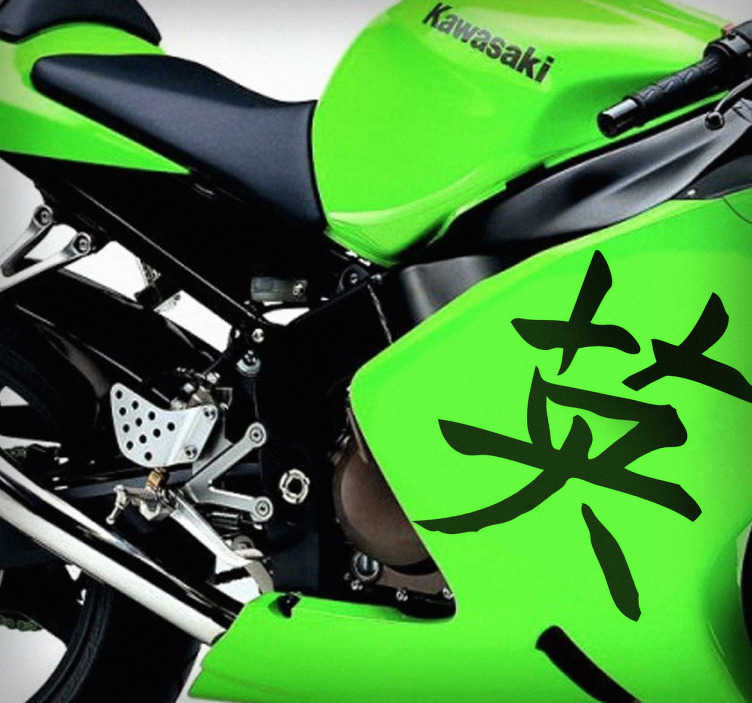 Place this decorative sticker on your bike and make it stand out. If you love Asian culture then this is the right art decal for you! You can choose the size that best fits your motorbike frame, your car or even your room! Don't forget to choose your favourite colour, we have a range of over 50 shades!